This is how most of us first trip onto the Nissan against Nissan story, a glimpse of a bygone era of the internet. 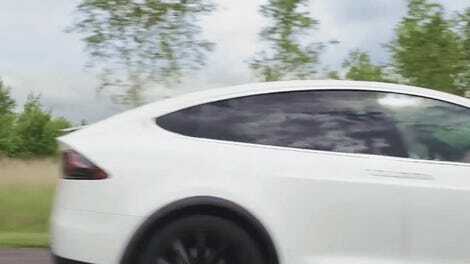 Nissan.com has been seen by millions of people, as many as 500,000 per month at one point according to court records. The image displayed on the landing page for nissan.com. But if you ask Uzi, it doesn’t feel like he did. What the website can’t tell you is the cost that the case had on Uzi himself, something he never could have possibly imagined when it all began with a phone call in October 1999. But before that you should know about Uzi himself, always patient, well-paced and determined to tell his story, rehearsed like he was still having to watch his words in court. Uzi started his first business in America just months after immigrating from Israel in 1980. He worked at an auto repair shop then started one of his own only a few weeks later. He had learned a lot from his mechanic friends when he served in the Israeli Defense Forces. “I was always good with my hands,” he remarked. A photo of Uzi Nissan, used with permission. Nissan Computer was his third business, each of which had his name. Uzi went from car repair (Nissan Foreign Car) to wholesale parts (Nissan International), computer parts and then he switched to retail (Nissan Computer) when other local businesses in North Carolina wouldn’t buy from him. Uzi was used to setting things up himself, and it’s little surprise he was early on setting up an online presence for his third business Nissan Computer in 1994. “Most people did not think the internet would get anywhere,” Uzi Nissan said about registering the domain at the time. An example of an ad featuring both Datsun and Nissan marks. Things changed dramatically for the two Nissans in October of 1999, when Uzi Nissan returned from out of town to a voicemail from Merrill Davis, the Corporate Manager of Nissan North America’s eBusiness strategy, who wanted to sit down and discuss the domains associated with Nissan Computer. Davis returned to North Carolina in December, and met Uzi again in his Raleigh office, at which point Davis started badgering him about a selling price, as Uzi claims. This is to say, to Uzi, Nissan was very much his name, in life and in business. He’d built it up three times from nothing, and he wasn’t about to give it up for nothing. A photo of the van used for Uzi’s first business in the U.S.
Uzi says Davis briefly left the room, and before he came back moments later, Uzi had already been sent a lawsuit from Nissan Motor Company over his fax machine. In the initial lawsuit filed in the Federal District court for the Central District of California, Nissan Motor Company sued Nissan Computer, a small North Carolina computer retailer, for $10 million in damages on accusations of trademark infringement, trademark dilution, unfair competition and cyber-squatting. Uzi found a lawyer. The first win went to Uzi over cyber-squatting. It’s a well-known nuisance in 2018, but it was a novel threat to a business or an individual in the early days of the internet. It’s the illegal act of registering or using a domain name associated with an existing trademark, “squatting” on it with the intent of taking advantage of the owner of that trademark. That usually means offering to sell the domain off at a extremely high price, or by posting potentially damaging content. But since Uzi Nissan had used his name for business for more than a decade by the time he registered nissan.com, and since he operated the website for his own business, the initial judgement dropped Nissan Motor’s unfair competition and cybersquatting complaints, according to court documents. While the court ruled in favor of Uzi on those complaints, it ruled in favor of Nissan the car company on trademark infringement in April of 2002. 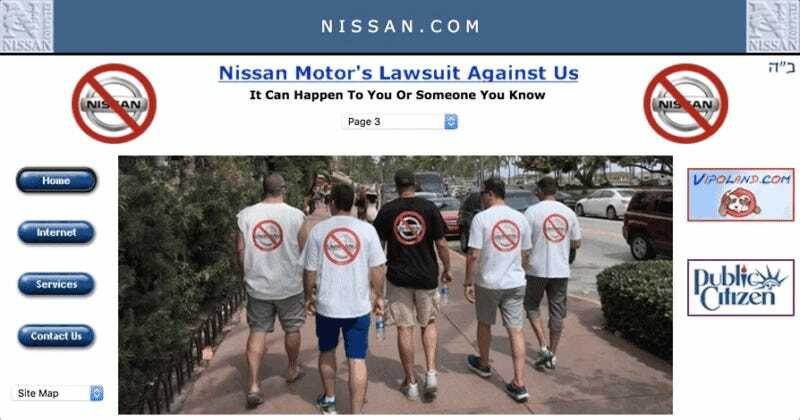 The court determined that automotive-related ads featured on nissan.com infringed on Nissan Motors’ trademarks in the automotive industry. It took Uzi the rest of the year fighting the trademark dilution complaint and in December, the court ruled in his favor, but on the condition that he not speak ill of Nissan. No posting anything negative about Nissan North America on the website, no links to other websites featuring negative remarks or commentary. Uzi felt like the court had gone too far, so he appealed this as well as a violation of his First Amendment rights, even enlisting the help of the non-profit consumer advocacy group founded by Ralph Nader, Public Citizen. The case went up to the Ninth Circuit Court of Appeals, which reversed the first court’s decision a few months later in August of 2004. The circuit court ruled that Uzi did not dilute the automaker’s brand, and rejected Nissan Motor’s request to take control of Uzi’s domains. This was already half a decade in legal drama, but Nissan the car company kept at it and tried to take everything up to the U.S. Supreme Court. It denied Nissan Motor’s request to hear the case a year later, and sent it back to the district court for the final judgement. Each time Uzi won part of the case, something else was left open, something that Nissan the car company had the resources to pursue. Meanwhile, Uzi was getting dragged deeper and deeper into fighting for an out-and-out win with each passing judgement. The courts had ordered mediations for the two parties to meet and reach a settlement three times during the complete run of the case, Uzi told Jalopnik, and while the automaker’s offer increased each time, it was never enough to settle things for Uzi. He had legal costs to pay as well as personal costs to take into account. The case held on for two more years in court, with the claims of brand dilution and trademark infringement back on the table. As a result, Nissan Motor had to drop the $10 million in damages. “[Nissan Motor] knew that in the jury trial they were going to lose,” Uzi told Jalopnik, “so at the last minute they agreed to take off the $10 million damages and go to a bench trial only for injunction, like to win nissan.com.” The final judgement came down in September of 2007. Uzi won on trademark infringement, as the court found Nissan Motor’s mark to not be inherently distinctive. 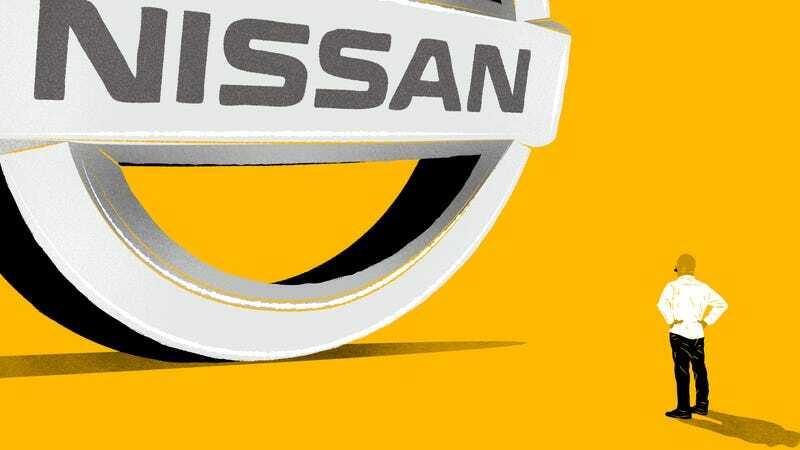 Nissan Motor didn’t have exclusive right to any and everything Nissan. As for brand dilution, the court discovered that Nissan had known about Uzi’s website since 1995 but failed to seriously follow up on it until it filed the lawsuit against Uzi. It had taken the automaker four years to realize the importance of the internet, something Uzi had grasped from the start. One of the bumper stickers featured on digest.com, the domain that features information about Uzi’s lawsuit. Uzi claims there were two attempts to contact the automaker about negotiating to sell the domains following the lawsuit, odd stories about a family business partner reaching out to Renault-Nissan CEO Carlos Ghosn who was “too emotional” to discuss it, and a European domain broker who claimed to have contacts with an executive at Renault-Nissan whose name and title Uzi did not know. Nissan was of little help here, either, declining to comment on past litigation when Jalopnik reached out to confirm if any attempt to discuss the purchase of Uzi’s domains occurred following the court case, including whether Ghosn himself was involved. The legal battle ultimately took eight years, and, according to Uzi, had cost him and his family nearly $3 million. It’s no surprise that he feels like he never quite prevailed. This was all time removed from his business and family and while speaking with Jalopnik, Uzi was understandably hesitant to talk about the toll it took on his personal life. It’s clear it’s not a happy subject. By contrast, Nissan the car company, the loser, remains as successful as ever. The Renault-Nissan joint operation recently posted that it sold more cars than any other car company in the world last year. The nissan.com website is, at a glance, a funny curiosity of the 1990s internet, something that seems silly at first. But it was a much more personal fight for Uzi Nissan, and a worrying reminder of how much a big company or anyone with a lot of power and money has over someone who doesn’t—right or wrong.